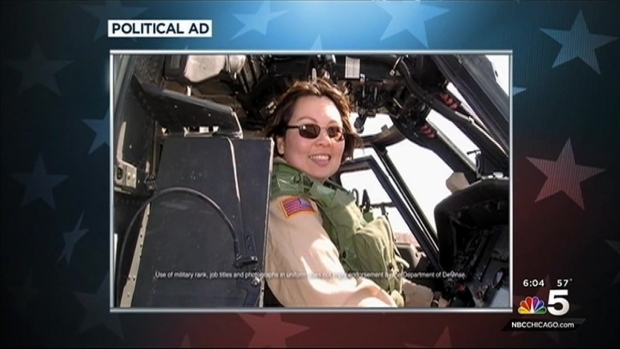 In a video to supporters, Rep. Tammy Duckworth on Monday made official a 2016 challenge to Sen. Mark Kirk. "I’m running for the United States Senate in 2016 because it’s time for Washington to be held accountable and to put Illinois’ families and communities first," the Hoffman Estates Democrat said her video message. Duckworth, an Iraqi war vet who lost her legs in a helicopter crash, recently had her first baby at the age of 46. Well known in her district, her message was a sort of introduction to a statewide audience. She said she was a Marine, a wife, a new mom and a combat veteran. She recalled the financial struggles she faced with her family while growing up and as she put herself through college. In a video to supporters, Rep. Tammy Duckworth on Monday made official a 2016 challenge to Sen. Mark Kirk, who plans to run for re-election. NBC Chicago's Anthony Ponce reports. "If you elect me as Illinois’s Senator, I will fight my heart out to represent you with honor and integrity," she said. Kirk, who suffered a stroke in 2012, plans to run for re-election. Illinois Republicans quickly tied Duckworth to former Gov. Rod Blagojevich, who is currently serving time in a Denver-area prison on a corruption conviction. "Rod Blagojevich protégé Tammy Duckworth is not the kind of partisan politician Illinois families want to represent them in the United States Senate," said Illinois Republican Party Chairman Tim Schneider. "Duckworth represents the extreme wing of the Democrat party — voting with Nancy Pelosi 92 percent of the time. I have no doubt that next November, Illinois voters will re-elect Mark Kirk who has been a strong & independent voice for our state in Washington."